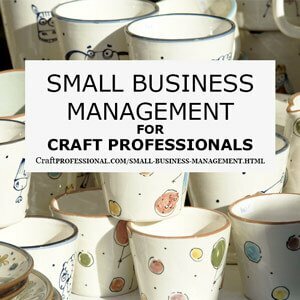 Launching a New Craft Business? Starting a craft business can be as simple as setting up a small table at a local show, or as sophisticated as a developing a full-scale business plan with long term financial forecasting, marketing plans and growth strategies. Or it can fall somewhere in between. I was lucky to be able to participate in a year-long small business training program when I started my business. I worked with mentors who guided me through the early stages, and I dove into my business prepared with a business plan, good bookkeeping tools, and an idea of how I would structure my time. Plus, I had access to mentors to help me along the way. I know most people don't have access to that level of support and training when starting a craft business. In fact, around the time I realized how fortunate I was to have all of that support was when I decided to share everything I could on this site so others could benefit. Don't let the thought of lots of planning overwhelm you. You do not have to have all of the things I mentioned in place when starting a craft business. In fact, that's what's great about this type of business - You can commit as much or as little time as you like depending on what you want from your business and how you plan to prioritize your business with your other commitments. You can be as casual or as formal as you like based on your priorities and expectations for your business. Of course, the more time and effort you put into planning your business, the more ready you'll be to recognize and grab great opportunities, avoid mistakes and grow in a direction that makes sense for you and works with your values, goals and priorities. There'a a lot of information for new craft business owners here. You can take your time and read through it all, or, if you're in a hurry, click the links below to jump down to a specific section on this page. Best Craft Business Tips: If you're not sure where to get started, why not check out some reader favorite articles? These articles are some of the most popular pages on this site and can help give you a foundation for launching your craft business. You can build a craft business in a lot of ways. In fact, the number of forms a craft business can take might be surprising. Gone are the days when you were limited to doing shows and selling to indie retailers. There are so many more ways you can build a creative business. Every decision from what craft media you work with, what style you adopt, and how you reach your customers will come together to form the unique structure of your business. 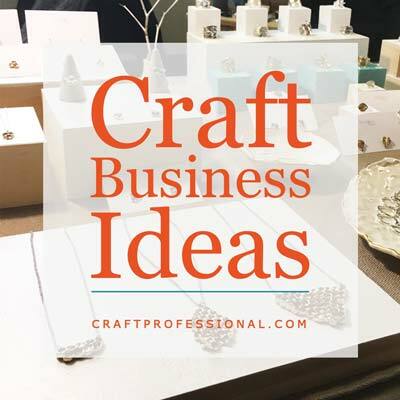 If you need to spend some time thinking through exactly what type of craft business you want to start, the articles below will help. 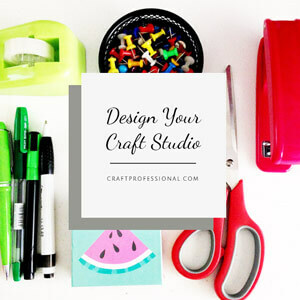 Want to think beyond selling at craft shows and on Etsy? Here are 20+ different types of craft businesses you can start. Which one works best for you? 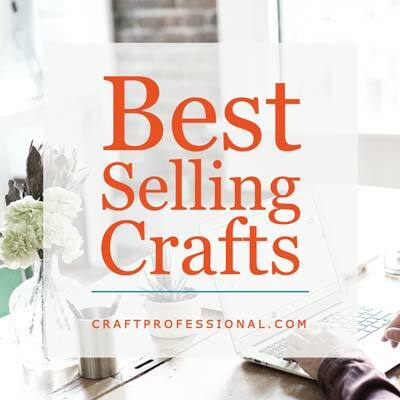 Examining the types of crafts that sell well and the types of crafts that are most profitable. You might be surprised to see, they are not always the same thing. Wondering how I started my creative business? My business has gone through a lot of changes, but it all started with handmade jewelry, Here's how I got started selling jewelry many years ago. 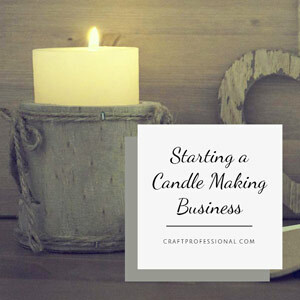 Are you thinking about starting a candle making business? Here are some thoughts to consider before you get started. 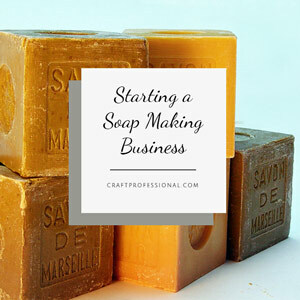 If you're looking at selling your handmade soaps, read on for some ideas for creating a soap making business. Debbie Ritter shares her thoughts about selling on Etsy and describes how she started selling her clothespin dolls. When most people consider starting a craft business, they typically think about selling at craft shows and selling crafts online. I don't have statistics on hand, but I would bet that craft shows and online sales are the two most popular ways to build a handmade business. 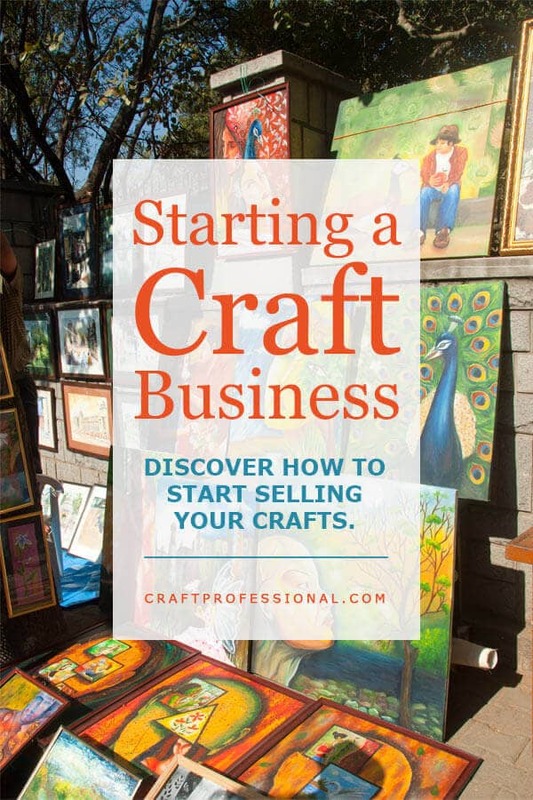 Below, you'll find links to get you started with craft show sales and online sales, plus all kinds of other ideas about where you can sell your crafts. 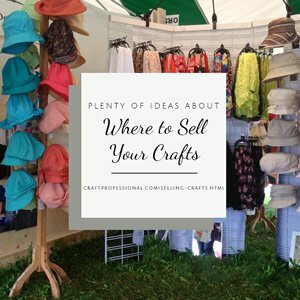 If you're planning to sell at craft shows, you'll need to know how to find and apply to the right shows, how to make the most of your time at a craft show, how to create an effective display booth, and how to choose the right craft tent. Click the images below to learn more about selling crafts at shows. How to find and apply to the right shows and make the most of your day at a craft show. 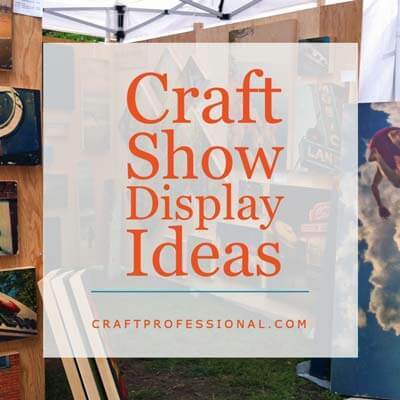 Hundreds of craft show booth photos and tips to help you create an effective display. 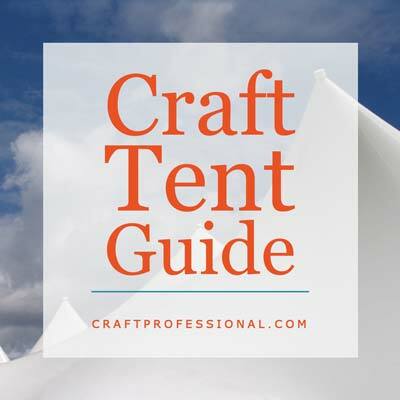 Everything you ever wanted to know about buying a craft tent. 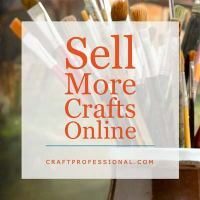 If your plan is to sell crafts online, you'll need to decide whether you'll sell on your own site or a third party site, or both. You'll need to know how to promote your online business, how to develop a social media presence, and how to set up and sent out business newsletters. Online craft business owners also need to develop great product photography skills, and they need to be savvy about protecting their brand online. The link above will take you to the online craft business information hub on this site, so you can start learning how to sell your crafts online. Although online sales and craft shows are the most obvious ways to build your business, there are other options for craft business owners. 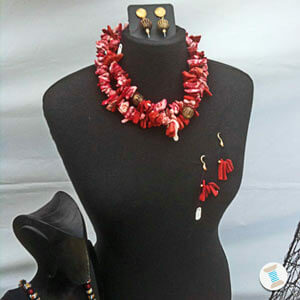 The link above takes you to a list of several ways to sell your crafts with additional information about each option. Before you launch your business, it's wise to take some time to plan and strategize so you can be smart and strategic about how you go about building your craft business. You also may need to take care of tasks like registering your business and developing a business plan. The link above takes you to articles that will help you get started with business management and administrative tasks. If you're going to be truly productive and work as efficiently as possible, you really do need a dedicated work space. It doesn't have to be extravagant, but it should be functional. This lesson is probably the first and most important lesson I learned when I started to work from home. It is very difficult to succeed at working from home if you don't have a dedicated place to work. I love working in my little office / craft room. It's not a huge space, but it is bright and pretty. It has an enormous amount of storage space for such a tiny room as well as a good-sized work surface. It's my favorite room in my house! I have a combined home office / craft studio space. I do not have a large home, in fact my home is smaller than most (less space to clean! ), but I've been able to carve out a home office in a small, bright spare bedroom. You don't need a huge, fancy space, but you do need a dedicated spot where you can store your supplies, work undisturbed and leave your work spread out if necessary. I don't always work in my office / craft room, especially when I'm doing computer work. I'm just as likely to have the laptop out on the kitchen table, or be working in the living room. I have young children, so I often have to work whenever and wherever I can grab some time and space. But I do have a dedicated place where I can close the door and think, store all of my supplies, and spread out projects when I need to. It would be very difficult to run my business without that space. Whether you work from home or rent studio space, here's how to decide on the right location for your craft business. Here's a tour of my office / craft room - my favorite room in my house! I hope it give you some inspiration for planning your own studio. If you want advice and inspiration for creating a craft studio that is attractive and functional, check out this is great book with lots of photos of real working craft studios. Of course, if you're looking for fabulous craft room and craft organization ideas, the best place to start is Pinterest. I'm always on the look-out for ways to improve my own work space, so I've pinned hundreds of beautiful and functional work spaces on my own craft room board. The widget on the left will take you to all of the fantastics craft room ideas I've pinned. Of course storage is always an issue. 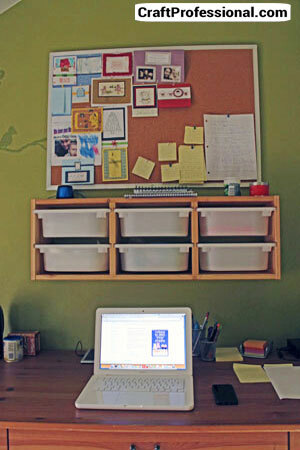 Here are several craft storage tips and ideas. There are all kinds of practical things to take into account when starting a craft business. First, and foremost, you really need to make a commitment to do what it takes to build your business. It's not rocket science, but there are several practicalities that can quickly become important when you start a home craft business. You'll find lots of information and resources for managing your business here. A reader asked for some general tips about getting started with her craft business. Here is her question and my response to her. 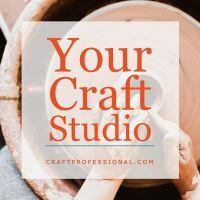 Craft forums can be an excellent resource, particularly when you are expanding your skills with a specific type of craft, learning to work as efficiently as possible or looking for great sources of inexpensive supplies. 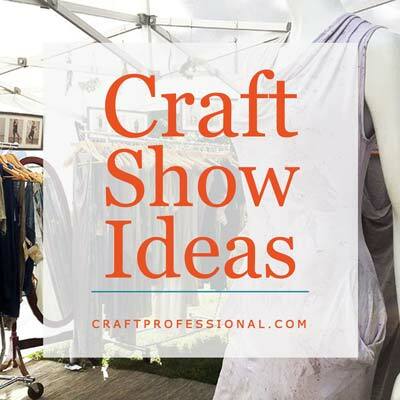 Loads of craft show tips. Make smart choices and manage your business effectively. Lots of places to sell your crafts.